As a technical officer in the armed forces you'll be responsible, through your team, for the maintenance and serviceability of ships, aircraft and land vehicles, as well as their associated weapons systems and support equipment. You'll act as a project manager on a base or construction site, or in research and the development of new equipment and systems. In battle, you have responsibility for keeping equipment, infrastructure and lines of communication operational. At officer level, you must lead and manage a team of specialists, directing them when circumstances demand action and utilising their skills and competence. As a technical officer, your role will include not only management responsibility, but also a considerable extension of your technical experience to identify, investigate and solve problems. Sometimes, this experience will involve advanced development and applications, such as equipment development with a manufacturer. In the field, this involves sorting out basic problems, for example, providing water supplies, building bridges or even setting up a refugee camp and providing all services. In combat, it could be constructing a helicopter pad, destroying a bridge or clearing a minefield. The activities you undertake will revolve around the command and management of a team of specialists, who will include artisan tradespeople, technicians, engineers and other professionals. communicating effectively with direct reports, colleagues with other roles and responsibilities, and professional groups, through briefings, technical and operational reports and presentations. The starting salary for graduate officer recruits is £26,738. After successful completion of initial officer training, salaries increase to around £30,000. Salaries at senior levels vary according to rank, experience and amount of time served, but can range from around £50,000 to £100,000. Benefits include subsidised accommodation and food, free medical and dental care, discounted rail travel, on-site fitness and entertainment facilities and a non-contributory pension scheme. Salary data from the Army, Royal Air Force (RAF) and Royal Navy. Figures are intended as a guide only. When on operations, you'll be working in a challenging, stressful and sometimes dangerous environment, with long hours in difficult or adverse conditions. Many officers work in the UK on bases and stations where security restrictions operate, but there is also the opportunity for prolonged periods abroad or on board ship. Part-time roles exist in the Army Reserve, the RAF Reserves and the Royal Naval Reserve. Job rotation and relocation can be expected every two to three years. The extent of relocation, travel and family separation will depend on the service and posting. Opportunities for female graduates are good, with most posts open to both men and women. Travel within a working day, absence from home at night and overseas work or travel are frequent. All three armed forces recruit graduates as technical officers and provide initial officer training and continuation of technical and professional training. The RAF will consider applications from graduates with any scientific or engineering degree. The Royal Navy requires graduates to have a degree in engineering, mathematics or physics for most roles. Certain roles may ask for a specific engineering degree, such as communication and electronic engineering. In the Corps of Royal Engineers, a regiment of the Army, an engineering or technical degree is not a prerequisite, although you may be able to gain chartered engineer status or qualify as a chartered surveyor as you develop in your career. The Royal Signals will consider graduates of any subject, although their first preferences include electrical engineering, computer science, software engineering and telecommunications. The Royal Electrical and Mechanical Engineers (REME) offers a fully-accredited route to chartered engineer status for all. Candidates must have a degree in engineering - either mechanical, electrical, electronic, civil, aeronautical, or production - or in computer or software science, IT, mathematics or physics. If you have a technical higher education qualification other than a degree, you should seek advice from the university liaison officer (ULO) or local armed forces careers office of the service you wish to join, as acceptability varies between forces, depending on both the subject you have studied and the specialism you are interested in pursuing. Generally, you must be a UK, Commonwealth or Irish citizen and have been resident in the UK or Ireland for five years prior to entry to the armed forces, but some exceptions and restrictions apply. Age limits also apply. All three services offer student bursaries or sponsorship, but amounts vary according to the subject you are studying and the needs of the service. University service units also pay students who join and attend training. Up-to-date information on bursaries, entry requirements and familiarisation visits is available from ULOs, local armed forces careers offices and on the three armed forces websites. Assessment for the Army is via the Army Officer Selection Board (AOSB). The AOSB process includes a series of individual and group tests of your physical, mental, intellectual and practical abilities, along with in-depth interviews. Selection for the RAF involves the Officer and Aircrew Selection Centre (OASC), which includes aptitude tests and a selection interview. The process tests personality, initiative, fitness and aptitude. For the Royal Navy, potential officers must attend a two-day Admiralty Interview Board (AIB). This involves a formal interview and a discussion exercise, together with fitness and mental agility tasks to assess verbal and non-verbal reasoning skills, concentration and spatial orientation. High standards are required throughout the selection process for all of the armed forces and evidence of leadership potential is sought by all. A perceived lack of service knowledge and a limited grasp of current affairs are cited as common shortcomings at the interview stage, so you should pay particular attention to these areas when preparing. It is recommended that you start to build up fitness levels before you commence basic training, as this will enable you to feel more confident and enjoy the training more. a good health record and high level of physical fitness, with good eyesight and colour perception. to deliver emergency humanitarian relief. Much of the time, the armed services achieve these aims through membership of alliances, particularly the North Atlantic Treaty Organization (NATO), but unilateral responsibilities (such as the Falklands conflict) may mean that they act alone and thus need to be equipped and trained for all aspects of modern warfare. Britain's membership of the United Nations (UN) and its permanent place at the Security Council may also necessitate the use of armed force in defence of international security (as in Afghanistan) or in support of humanitarian and peacekeeping initiatives (as in Bosnia or after the Asian tsunami). The services have an important diplomatic function in representing Britain overseas and are also involved in training other countries' armed forces, both in the UK and abroad. Local armed forces recruitment and careers offices. If you're successful at the Army Officer Selection Board (AOSB), you will go on to the officer training course, which lasts for 44 weeks, at the Royal Military Academy Sandhurst. Adventurous training also takes place, which involves a course, followed by an expedition to test your ability to perform under challenging conditions. Graduate officer recruits to the Royal Navy undertake a 30-week training period at the Britannia Royal Naval College Dartmouth, followed by further specialist training at sea and on shore bases. The training for technical graduates entering the RAF differs according to the specific role, but most officers begin their career with the 30-week Initial Officer Training course at the Royal Air Force College, Cranwell. This involves four weeks' preparation in fitness and self-discipline to aid the transition from a civilian to an Armed Forces way of life, followed by military and leadership training. After initial officer training, you'll be posted to your chosen regiment or corps, to a ship for fleet training, or to a squadron or station respectively, where you'll undertake specialist training in the detailed skills and particular knowledge you'll need before assuming your first command. 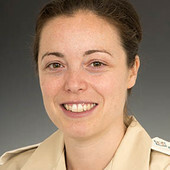 In order to gain specific technical skills and knowledge before assuming your first command, you're likely to be selected for a sequence of command, staff training and further professional courses, which may include postgraduate study at the College of Management and Technology, a college of the Defence Academy of the United Kingdom at Shrivenham, or other universities or colleges, depending on your specialism. Further promotion is normally into increasingly senior staff posts. Advancement involves increased responsibility and may lead to a command and staff training course at the Joint Services Command and Staff College, part of the Defence Academy, as preparation for a senior command or managerial appointment. Such appointments are not limited to roles within your own service, but may be joint service posts or could involve secondment to international bodies, such as NATO and the UN. Throughout your career in the armed forces, you'll find that your 'officer commanding' and your commanding officer (in the Army, usually a major and lieutenant colonel respectively) are directly responsible for your professional development and will act as your professional mentors. Continuing professional development (CPD) and training are features of a service career and provide opportunities to gain qualifications and accreditation with civilian professional bodies. 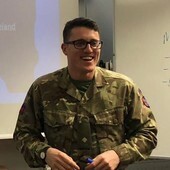 One example of CPD is that officers in the Corps of Royal Electrical and Mechanical Engineers (REME) will, after Sandhurst, attend the Military Systems Engineering Course (LAND), which lasts about six months and a more advanced command course after about six years. They are encouraged to attend external management courses, often at a local college, and may be given secondment to gain a higher degree, which, together with professional experience, will ultimately lead to chartered engineer status. Many opportunities exist for officers upon retirement from the armed forces because of the management, professional training and experience gained during service.